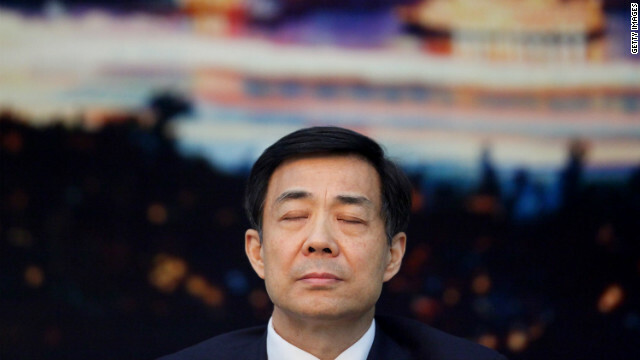 Today we’ll bring you the latest from China on the dramatic fall from grace of former Communist party star Bo Xilai. We learned today he will be thrown out of the party and will face a variety of criminal charges. This come a little over a month before the once a decade Party Congress in China where a crucial leadership transition will take place. Also today, don’t miss our interview with George Lopez of Notre Dame University. He’s a UN adviser and top sanctions expert. I’ll ask him what he thinks can pressure the Assad regime in Syria to change course. Are sanctions the answer anymore? Did they ever work? Richard Quest will join me to talk about an independent audit just released in Spain on the real cost of rescuing Spanish banks, crumbling under the weight of the debt crisis in the Eurozone. We’ll also tell you how markets are reacting to the announcement on this last trading day of the week. Also, you’ll want to tune in for my interview with Egyptian-American activist Mona Eltahawy. She made a name for herself as a commentator on the Egyptian revolution in an outspoken style that has made her a familiar face on U.S. television over the last couple of years. But she was in the new for another reason this: she was arrested for spray painting an ad equating critics of Israel to “savages” in the New York subway, sparking debate about the best way to respond to racist attack ads. Tune in for that and more at 1pm EST/7pm CET on CNN International. The spokesman for UN envoy to Syria, Lakhdar Brahimi, came on the show and stressed how focused the envoy is on the crisis in Syria. Watch to see how he responds when asked for a specific plan of action or a specific time table. Today we continue our in depth look at the crisis in Syria with CNN’s Ivan Watson. He reports from a refugee camp on the border of Syria and Turkey where people are desperately trying to gain access to Turkey. Today we will be bringing you the latest from the UNGA. 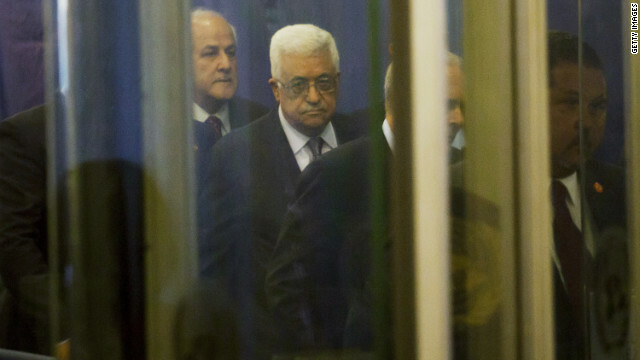 The big headliners du jour: Palestinian Authority president Mahmoud Abbas and Israeli Prime Minister Benjamin Netanyahu. Abbas is expected to reiterate the Palestinian’s request for the United Nations to upgrade their status to a "non-member observer state". Netanyahu (who we learned today will speak with US President Barack Obama in the telephone) is expected to again draw what he has called a “red line” over Iran’s nuclear program. Today, as we do every Thursday, we will take an in-depth look at the Syrian conflict. By any standard, even for those who’ve gotten used to daily triple digit death tolls, what happened yesterday in Syria was shocking: almost 350 people were reportedly killed in a single day. A death toll inflated by reports of yet another massacre of civilians in a village near Damascus. We are expecting to speak to Lakhdar Brahimi’s spokesperson Ahmad Fawzi from the United Nations. I will ask him to expand on what the joint UN/Arab League envoy told reporters after a closed door Security Council session earlier this week. Brahimi has said he doesn’t yet have a final plan to solve the crisis. He also said that without a unified Security Council, his mandate is essentially meaningless. Should Syrians expect anything from Brahimi after his predecessor Kofi Annan’s plan failed so resoundingly? Also today, we will take you live to Madrid where Spain’s government just announced a drastically slimmed down budget for 2013. There’ve been massive anti-austerity demonstrations in that country, as well as in Greece. Both countries need to make some very painful budget cuts in order to tackle a debt crisis that is threatening their economies and their membership in the Eurozone. Full coverage plus all the market reaction to the announcement. We’ll have that and all the day’s other top stories, as always. Today, we will start the show off live from New York, where the United Nations General Assembly is officially under way. We will break down the speeches so far, including U.S. President Barack Obama’s address. He paid tribute to American ambassador to Libya Chris Stevens, killed in an attack on the U.S. consulate last September 11th and expanded on the notion that the assault wasn’t an assault on America only, but on universal democratic ideals. Also, today, we will run Bill Neely’s must-watch report from the frontline in Homs. He is following regime snipers and soldiers as they battle rebels in a street by street stalemate in Syria’s third largest city. I don’t recognize the images in Neely’s piece as Homs at all. The scenes are of the aftermath of an unimaginably brutal, violent war. Nick Paton Walsh will join me live for a look at Save The Children’s report on the child victims of the Syrian conflict. for three days and then he simply died. He was terrified all the time. Also today, Elizabeth Cohen joins us on the discovery of a new virus that can be extremely deadly. It has already sickened two men in the Arabian Gulf. Plus, CNN’s Chief U.S. Correspondent John King joins us for a look at U.S. Republican presidential candidate Mitt Romney speech in New York at the Clinton Global Initiative. Where does Romney stand in the race? We’ll break down the numbers. And, as always, the latest weather, sport and business headlines.